2009 Mazda CX-7 6-Speed Automatic Electronic 2.3L I4 DISI MZR 16V Turbocharged Type your sentence here. 2000 Jeep Wrangler SE 4WD PowerTech 2.5L I4 Type your sentence here. Bright Silver Metallic Clearcoat 2010 Jeep Liberty Sport 4WD 4-Speed Automatic VLP PowerTech 3.7L V6 **ELECTRONIC STABILITY CONTROL**, **KEYLESS ENTRY**, **BLUETOOTH**, **LOCAL TRADE**, **SUNROOF/MOONROOF**, **COMPLETELY DETAILED**, **RECENT LUBE, OIL AND FILTER SERVICE**, Liberty Sport, 4D Sport Utility, PowerTech 3.7L V6, 4-Speed Automatic VLP, 4WD, Bright Silver Metallic Clearcoat, Dark Slate Gray w/Premium Cloth Bucket Seats, ABS brakes, Air Conditioning, AM/FM radio: SIRIUS, CD player, Dual front impact airbags, Electronic Stability Control, Low tire pressure warning, Occupant sensing airbag, Overhead Console, Panic alarm, Power steering, Power windows, Rear window defroster, Remote keyless entry, Sky Slider Full Open Roof, Split folding rear seat, Tilt steering wheel, Traction control. Type your sentence here. CARFAX One-Owner. 2012 Ford Focus SE FWD 2.0L 4-Cylinder DGI Flex Fuel DOHC Focus SE, 4D Hatchback, 2.0L 4-Cylinder DGI Flex Fuel DOHC, FWD. Type your sentence here. Awards: * Car and Driver 10 Best Cars * 2012 IIHS Top Safety Pick * 2012 KBB.com Top 10 Road Trip Cars * 2012 KBB.com Top 10 Coolest New Cars Under $18,000 * 2012 KBB.com Brand Image Awards Car and Driver, January 2017. CARFAX One-Owner. Tuxedo Black 2013 Ford Focus SE FWD 6-Speed Automatic with Powershift 2.0L 4-Cylinder DGI DOHC **ELECTRONIC STABILITY CONTROL**, **KEYLESS ENTRY**, **FORD SYNC**, **CARFAX ONE OWNER**, **GREAT FUEL ECONOMY**, **LOCAL TRADE**, **CLEAN CARFAX**, Focus SE, 4D Hatchback, 2.0L 4-Cylinder DGI DOHC, 6-Speed Automatic with Powershift, FWD, Tuxedo Black, Charcoal Black w/Warm Steel Surround w/Cloth Front Bucket Seats. Type your sentence here. Awards: * Car and Driver 10 Best Cars * 2013 IIHS Top Safety Pick * 2013 KBB.com 10 Coolest New Cars Under $18,000 * 2013 KBB.com Brand Image Awards Car and Driver, January 2017. CARFAX One-Owner. Deep Water Blue Pearlcoat 2010 Dodge Charger R/T RWD 5-Speed Automatic HEMI 5.7L V8 Multi Displacement VVT **HEATED SEATS**, **LEATHER**, **ELECTRONIC STABILITY CONTROL**, **KEYLESS ENTRY**, **BLUETOOTH**, **CARFAX ONE OWNER**, **WELL MAINTAINED**, **SUNROOF/MOONROOF**, **NAVIGATION/GPS/NAV**, Charger R/T, 4D Sedan, HEMI 5.7L V8 Multi Displacement VVT, 5-Speed Automatic, RWD, Deep Water Blue Pearlcoat, Dark Slate Gray w/Leather Trim Seats w/Preferred Suede. Type your sentence here. With our expansive inventory constantly being updated, you’ll be sure to find a great used car at our dealership in Farmington Hills. We offer many different types of vehicles for nearly every need and budget. Whether you’re looking for a sports car or a family van, you’ll be sure to find your next car here. We work with all types of buyers, so you’ll be confident knowing that you’ll find a great deal that’s affordable. It’s best to check our inventory regularly, so you won’t miss out on any great deals! Long gone are the days of high pressure and polyester suits when it comes to buying a used car. Today’s used vehicles are well-inspected and often have vehicle history reports and maintenance records. You’ll be able to save money by purchasing a vehicle that’s been pre-owned but well-cared for. Many vehicles are also sold post-leasing, so they’re often low mileage vehicles that were serviced by a dealership. Most of a vehicle’s depreciation happens in the first couple of years of ownership. After that, the value decreases at a much slower rate. Today’s cars, trucks, and SUV’s often have more than two owners and still run great. Lower monthly payments are possible with a used vehicle due to the decreased loan amount that’s required for purchase. Purchasing a used vehicle also opens more doors for financing. It’s not necessary to have pristine credit and the loan terms are often flexible. Having more options gives many buyers the power to purchase a vehicle that they may have thought was outside of their budget. Used luxury cars are also plentiful and are a great way to own an amazing car without having to shell out so much money. They’re often very well maintained and look just like their newer counterparts. Whatever type of vehicle you’re looking for, it’s most likely available in our used car inventory. Our dealership ensures that every used vehicle undergoes a significant check of all necessary components. You’ll rest assured having the peace of mind that you’ve purchased a quality vehicle that will last you for years to come. Our certified technicians will make any necessary adjustments and repairs prior to you even driving the vehicle. Many used cars have the balance of the manufacturer’s warranty or an option to purchase an extended warranty. 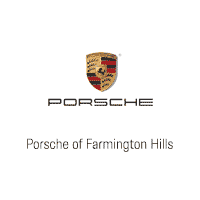 Our dealership in Farmington Hills is excited to meet you. We make customer satisfaction our top priority. We invite you to come see us and check out our huge lineup of used vehicles. We’ll make sure you get the best deal possible and drive home happy in your new pre-owned car, truck, van, or SUV. Call us, go online, or stop into our showroom, today!